A neon cat greets you at The Modern Eatery. The glowing sculpture is a take on the Japanese maneki-neko – the beckoning cat figurine and good-luck talisman familiar from Asian stores and eateries – sporting a headband and holding a drum, with a star around its eye, like it’s a Kiss mascot. 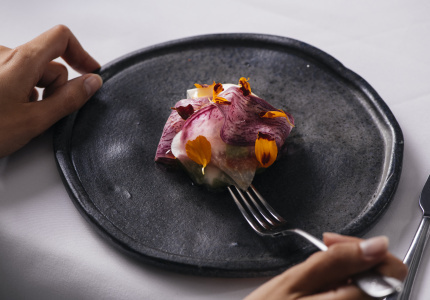 The Modern Eatery began in Western Australia. 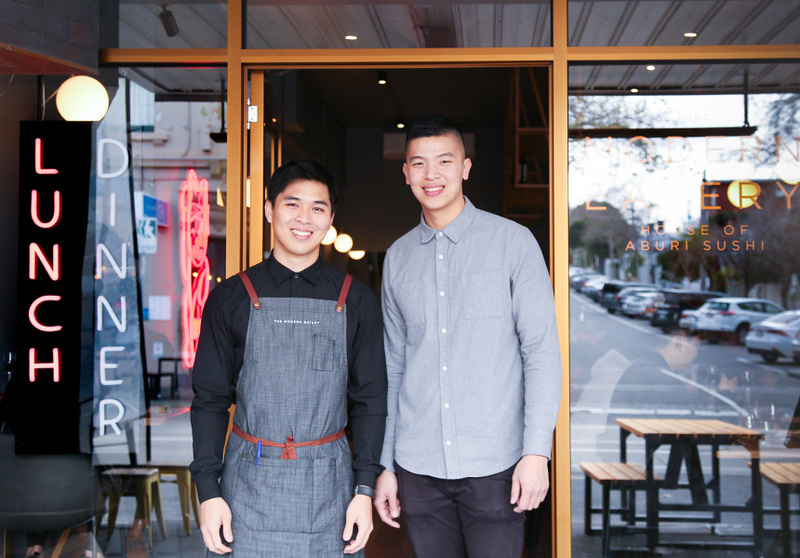 Owners Edward Teh and Jason Tan opened the original in Fremantle in 2015, and the second opened last year in Perth. This east coast outpost seats 90 people over two storeys. 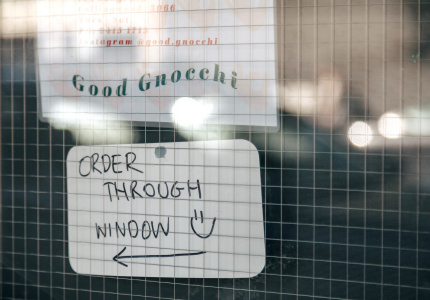 When travelling in Vancouver, Canada, Tan discovered the city’s take on Japanese cuisine. (A chef in Vancouver is credited with inventing the California roll. He saw sushi in every size and shape imaginable. The name was chosen specifically to avoid sounding like a traditional Japanese restaurant. And although all the chefs are from Japan they not bound by tradition. 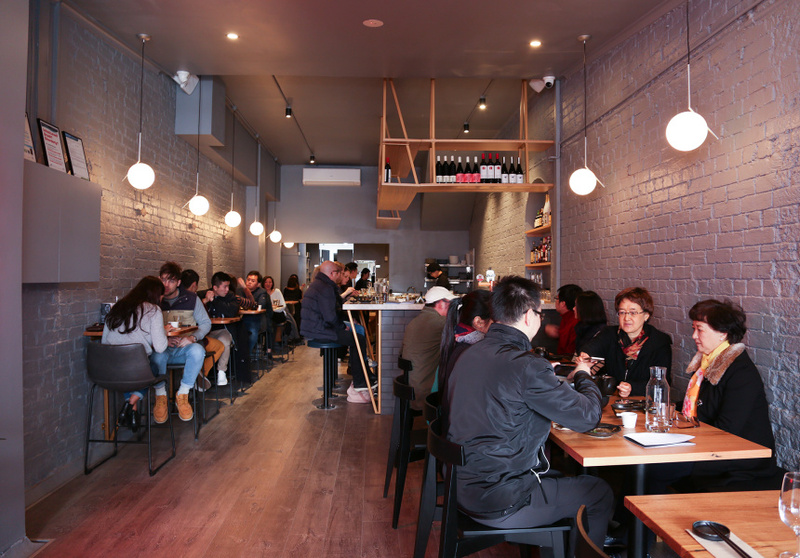 The Melbourne restaurant is sleek and open, with wood tables, bronze flourishes and dark grey walls. 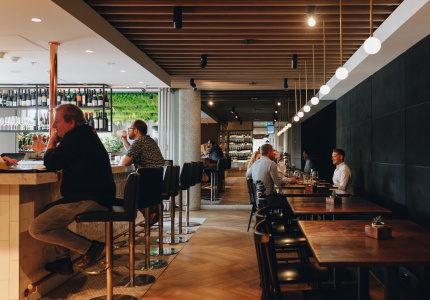 Bar seating gives diners a view of the open kitchen. 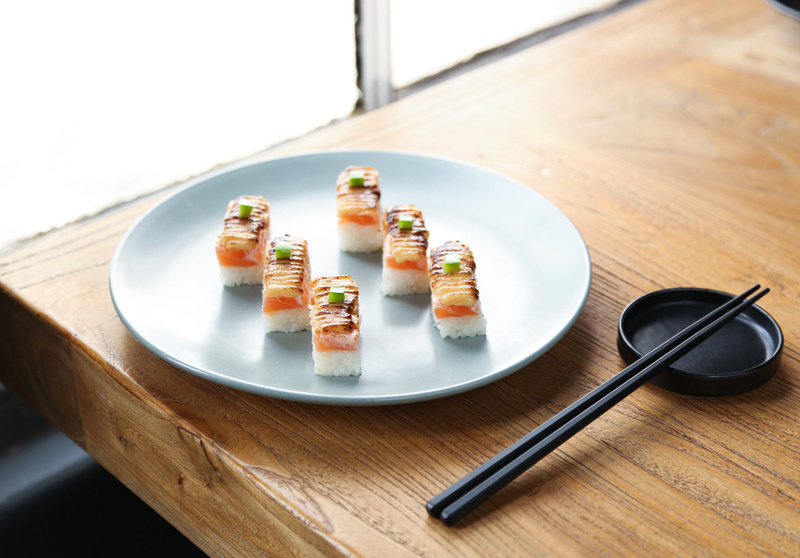 Aburi sushi – which involves lightly torching the fish so it’s partially seared and partially raw – is a specialty here. Hot dishes include pan-fried gyoza with umamiso and seared Wagyu beef with lotus chip, creamy garlic shimeji and mushrooms. 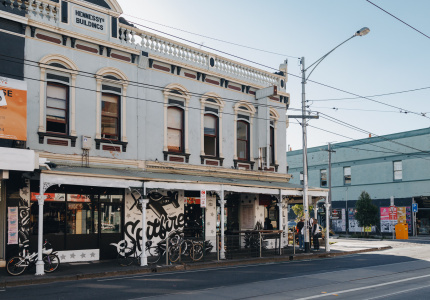 Alongside cocktails and local producers such as Stomping Ground’s pilsner you’ll find imported beers, six Japanese whiskies and a wide selection of sake.